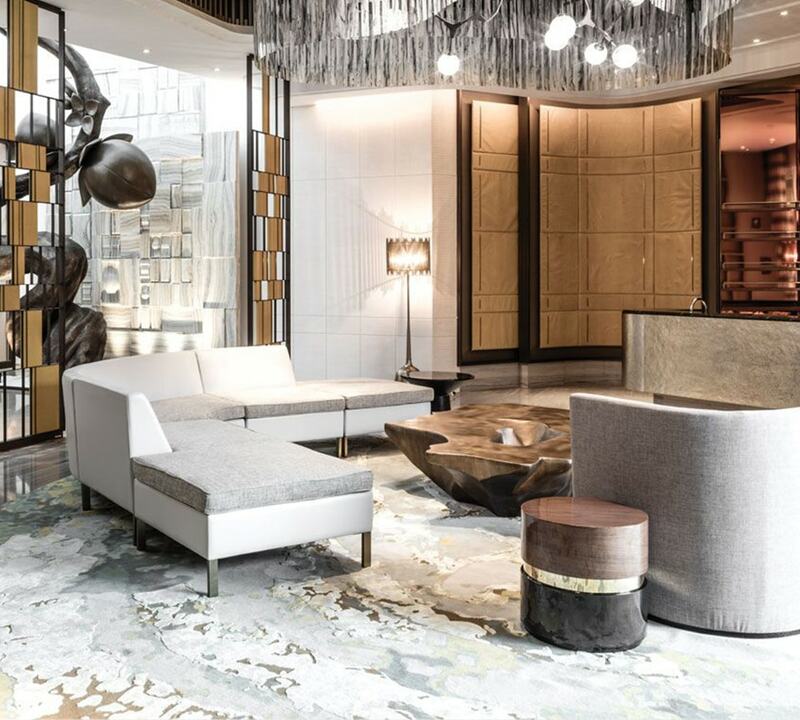 ICE International develops and produces handmade custom rugs and carpets for high-end hotels, restaurants, residential luxury projects, private yachts and jets. The family company established in 1970 has offices in Waardenburg (NL), Dubai, New York and Paris and works for reputable design firms such as Philippe Starck, Yabu Pushelberg, Hirsch Bedner Associates, Wilson Associates, Jacques Garcia and Richmond International. Recently, Four Seasons Ten Trinity London, The Ritz-Carlton Chicago, NoMad Los Angeles, The Address Boulevard Dubai and Four Seasons Marunouchi Tokyo have been added to this portfolio. ICE International is known as the definitive specialist when it comes to hand-knotted and hand-tufted carpets. ICE carpets stand out thanks to their precisely crafted designs, the exquisite quality of the materials used and the perfect finish. Due to the years of accumulated knowledge and the advanced workmanship, there are no limits to the desired shapes, colours, structures, dimensions or designs. Everything is possible. ICE International produces rugs, inset carpets, wall-to-wall carpets and stair carpets, among other things. Over the years, ICE International has worked on a large number of projects all over the world. 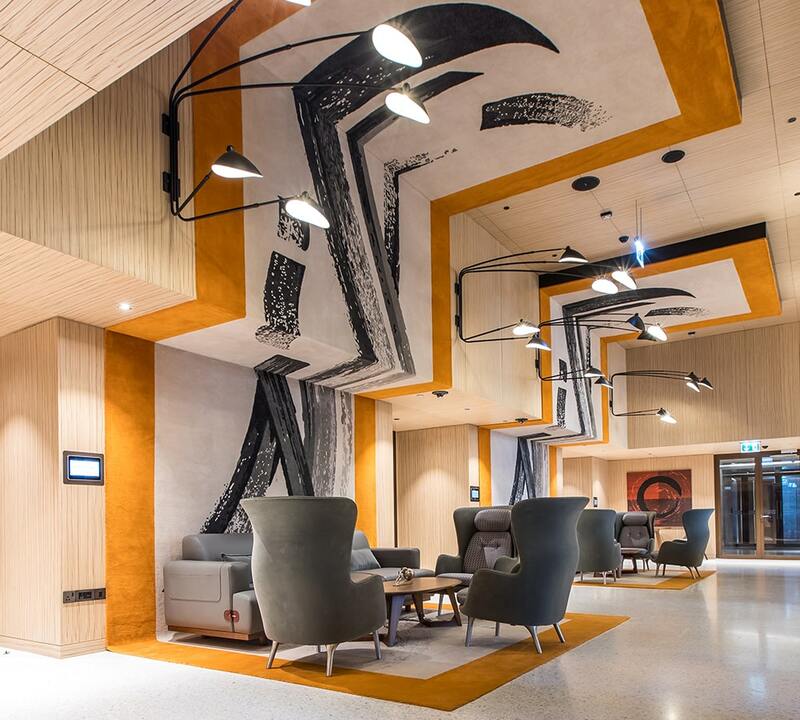 Most of these projects came about because ICE International has very strong ties with design agencies on one hand, and its production facilities on the other. This has resulted in long-term relationships that enable all parties involved to develop the rugs and carpets in such way that the end result meets everybody’s satisfaction. ICE has supplied carpets to the finest hotels, such as the Burj Al Arab in Dubai, Park Hyatt in New York and The Savoy in London. 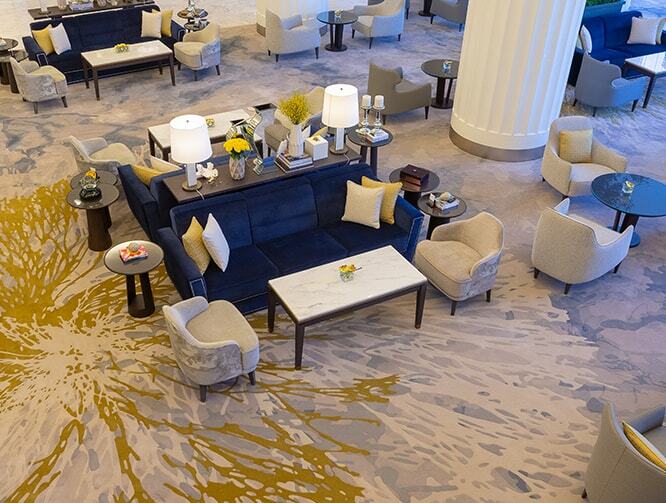 Thanks to its proven reliability, ICE has also become a preferred supplier for all Four Seasons and Fairmont Hotels. 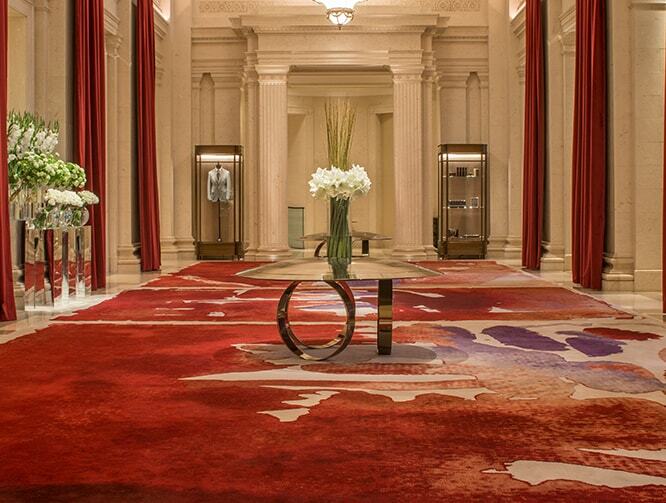 In addition to all these hotels, ICE International also supplies rugs for many residential projects. ICE is capable of translating the creative concepts of design agencies into the finest carpet designs and techniques like no other. The main objective is to ensure the end client is happy with the rugs or carpets, which usually play a primary role in defining the interior of a room, suite, or public area. From this perspective, it makes no difference whether ICE produces carpets for a large hotel, or a single rug for a residential project. ICE approaches all projects with the same level of care and attention. ICE international is excited to be part of the Four Seasons Hotel, London at Ten Trinity Square. 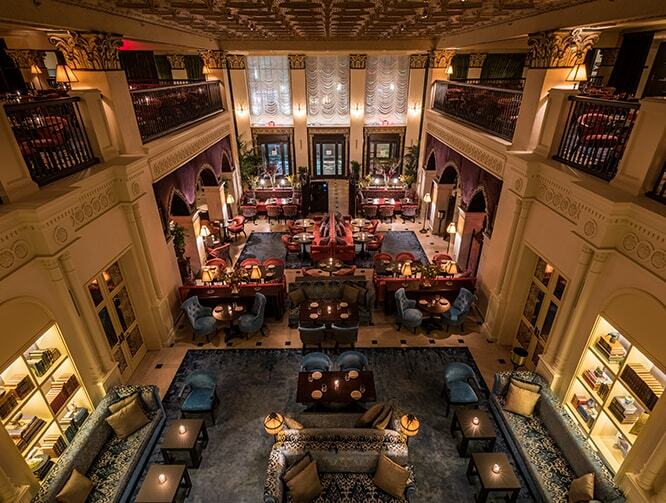 ICE International is proud to be part of the new NoMad Hotel Los Angeles for which we created bespoke hand tufted rugs. Located in the very heart of Downtown Dubai you will find the iconic flagship Address Downtown. It is one of the most outstanding and prestigious hotels in the UAE.